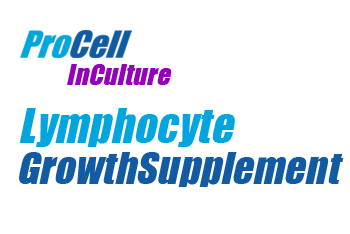 Lymphocyte Growth Supplement is a media additive that greatly improves cell growth and morphology in blood cultures by exposing these cells to growth factors that are known growth promoters. Lymphocyte Growth Supplement has a marked stimulatory effect on bloods. It is a complex mixture of growth factors dissolved in DMEM containing FCS. Lymphocyte Growth Supplement is a complex mixture of growth promoters that have a marked stimulatory effect on peripheral lymphocyte cultures. Lymphocyte Growth Supplement has been found to boost cell growth and therefore mitotic index as well as improving chromosome morphology. Lymphocyte Growth Supplement can reduce culture times from 72 hours down to 48 hours, particularly useful for urgent samples and samples arriving midweek.